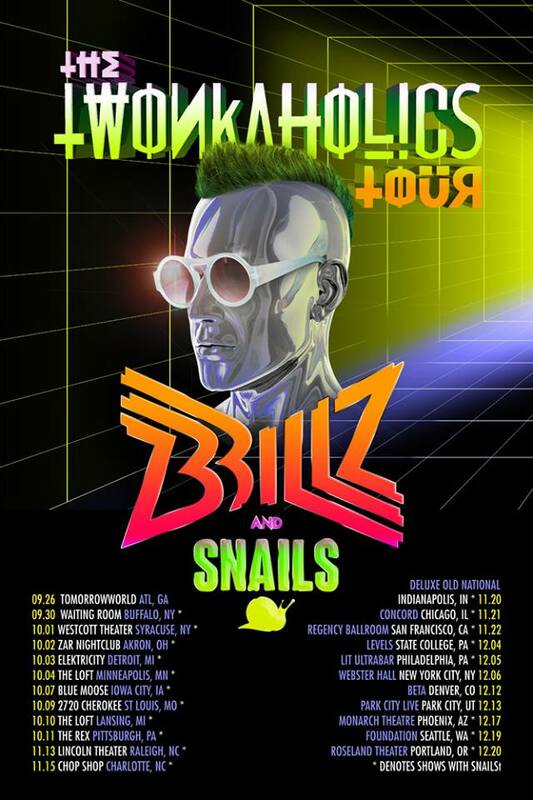 As if Brillz wasn’t already having one of the biggest years of his life, he and recent OWSLA addition Snails are gearing up for one hell of a tour. The Twonkoholics Tour 2014 has over 20 stops across the country hitting cities like Seattle, New York and even Atlanta for a special performance at TomorrowWorld. This tour is huge for multiple reasons, the first being that this is Brillz’ second headlining tour in the past year and a half. Another is that the Snails is quickly becoming one of the biggest artists on the scene right now. Both artists have been pushing the creative envelope, so this tour is really going to be something special, folks. What’s really special about this tour is the fact that Brillz has been able to sustain the world of TWONK and even push it to a whole new level. What started out as an inside joke between close friends has rapidly grown into a way of thinking and living. Check out the dates for The Twonkoholics Tour 2014 below and catch Brillz and Snails at a city near you! *Denotes performance with Snails. More dates TBA so stay tuned right here!